Don't let those techy-glitches get you down. In addition, the ITS Service Desk provides chat and walk-in assistance Monday through Friday 8:00 am – 7:00 pm in Administration Building 100. ITS has implemented a change in its Service Desk Call Center availability. 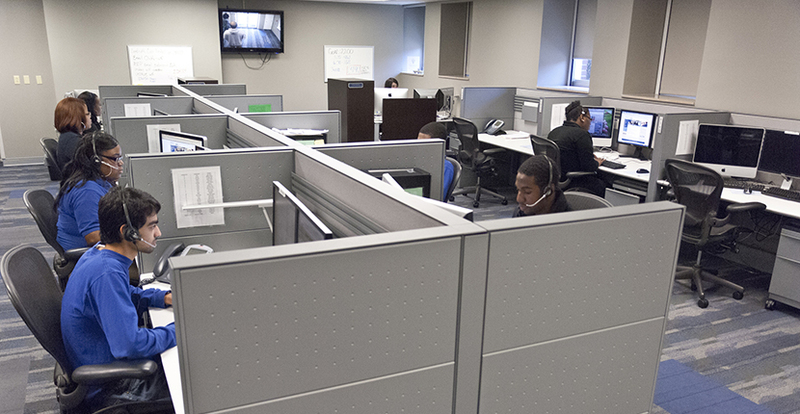 The ITS Service Desk is now available from 8 a.m. to midnight seven days a week, excluding some holidays. Incoming calls after hours will be handled by voicemail. If you require assistance after midnight, leave a message or submit a service request online. Messages will be checked daily and receive priority response the following business day. Thank you for your attention to this announcement and for your cooperation. To enhance password security and protect University data, ITS will implement a change in its Password Reset service. Effective immediately, the ITS Service Desk (Tier 1) will no longer, administratively, change passwords. All UofM affiliates (faculty, staff, students, alumni, former students, etc.) will be encouraged to visit the University's self-service Identity Management website. Here, you can initialize your account. You can also: reset your password, retrieve your UUID, and answer your security questions to regain access to your account. • Never share your password with anyone. This includes a UofM employee, friend, or relative. • Beware of phishing emails that attempt to lure you to malicious websites. • Watch for email notifications about your password changing. If you did not change your password, please contact the Service Desk immediately. • Never respond to an email request for your username and password or any other request to "verify" your account. For more information about IT security, please visit the ITS security website. Note: If you have recently changed your password, forget and re-add all UoM wireless networks on your all devices.